The owner of this property wanted to improve their backyard to create better habitat for birds, butterflies and other insects but also to enhance its visual appeal. 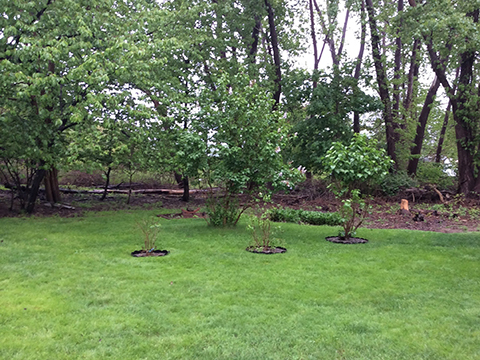 The existing shrubs (lilacs) were preserved and enhanced with an assortment of hardy native perennials that will provide habitat for lots of native insects. The boundary of the property was planted with tall native perennials to naturalize it, compete with existing weeds and to screen the neighbors property, a win win for the home ownere as well as wildlife. 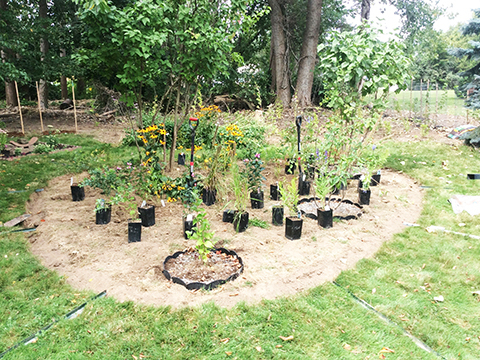 Over 80 plants were installed in this bed and the surrounding area. 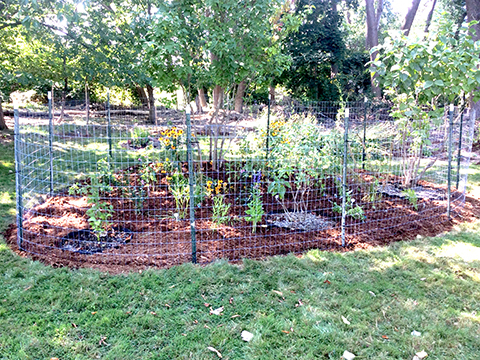 Fencing was installed to protect the plants from heavy deer pressure during the establishment phase of the planting. Most plants were selected for deer resistance.